I have a confession. Throughout my thirty odd years of full-time ministry in the local church, I never had the financial reserves to survive a month without pay. If any of those churches had decided to skip a paycheck or two, I would have been in immediate hardship. I am middle-class and serve a denomination that mandates that its clergy be paid. I have, though, attended poverty simulation seminars, where like someone in a friendly game, I have spent an hour trying to imagine a life without such privilege. As Louis Armstrong sang, "Jeepers creepers Rufus Brown, what you going to do when the rent comes round?" Jesus didn't have to imagine poverty. He lived it intimately, daily. He also knew the consequences of political oppression, paternalism, militarism, and prejudice. Slavery was common, so was crucifixion. On his first visit back to his home town, he chose to read to the people gathered for worship from the scroll of Isaiah these words, "he has anointed me to bring good news to the poor. He has sent me to proclaim release to the captives and recovery of sight to the blind, to let the oppressed go free..." (Luke 4:18). If he were reading that same scroll today, I imagine him not stopping there. I expected him to keep on going, and say, "Oh yes, and recovery of back pay for those employed by the government." Let me put this into perspective. Since the beginning of time, those with means have shown little restraint in screwing over those who are born poor, or on the wrong side of a border, or to the wrong family. What is different about the current government shut down, is that people with privilege, who once upon a time made a promise to uphold justice, have decided to go one step further and screw over middle-class people. I have always loved the local church. That never kept me from needing to get paid. People who work for the government, by in large, love our country. That does not justify withholding what is due to them. Now is not the time to blame them for failing to set aside a cash reserve. Now is not the time to be surprised that they lack the negotiating skills needed to get creditors off their backs. What would Jesus do? I think Jesus would call this a teachable moment. 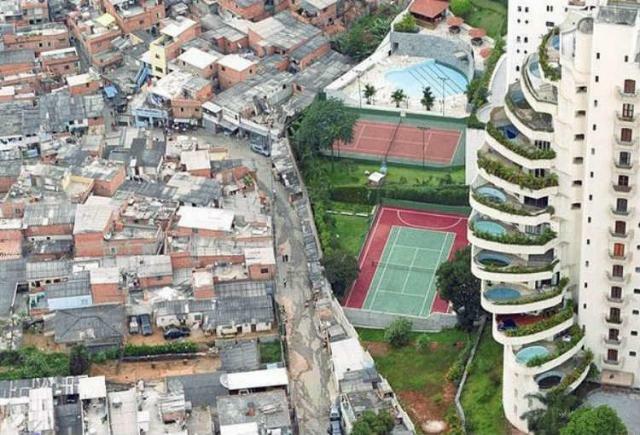 There is a wall that exists between the middle class and the generationally poor. Statistics show how difficult in America it is for a child born in certain zip codes to get into the middle class. We are no longer the land of opportunity. We have become the land of, "I've got mine and I don't know what your problem is." This wall is immoral. I'm not talking about the one the president wants. I'm talking about the one that already exists between the poor and the middle class. Teachable moments, like the one I had when I realized that I could not have made it through a shut-down of my paycheck when I worked for the church, help us to see this invisible wall. Further, Jesus doesn't want his church to only care about religion. Martin Luther (the one in the 16th century) said that we are to be Christs to our neighbors. The church, and each of us, must go out into the world and proclaim good news to the poor. Where we see oppression and racism we must act -- the journey of the civil rights movement goes on. Justice delayed is justice denied. When we see those in high office mistreating our workers (people we employ by the payment of our taxes), we should call them into account. Wherever we see injustice in this world, we should proclaim a new day. The day of the Lord's favor begins with us.